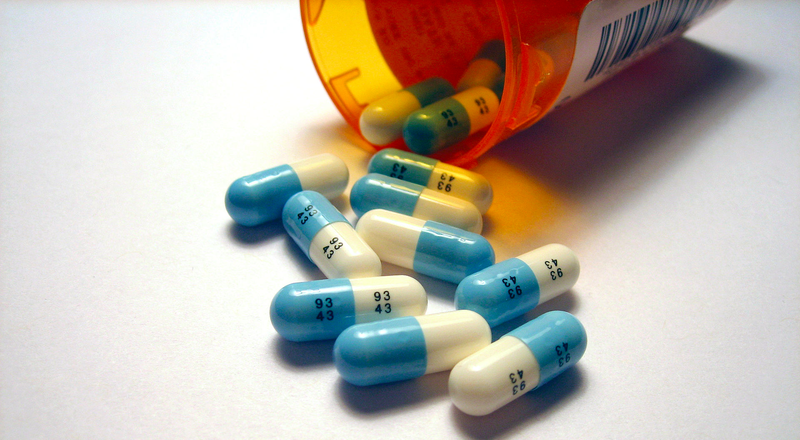 One in ten Americans takes an anti-depressant drug like Zoloft or Prozac. These drugs have been shown to work in some patients, but their design is based on a so-called “chemical imbalance” theory of depression that is incomplete, at best. The number of people taking antidepressants has increased by over 400% since the early ‘90s. In a certain light, this could be perceived as a success for public health; it is clear, for example, that tens of millions of people have found antidepressants to be effective. What’s less clear is why these medications work, but decades of research on the subject suggest that an explanation parroted in ad campaigns and physicians’ offices alike – that depression can be chalked up to low levels of serotonin in the brain – is insufficient. This is the story of how pharmaceutical companies and psychiatrists convinced the public that depression was the result of a simple chemical imbalance – and how scientists, patients, and psychiatrists are working to piece together the more complicated truth. Psychiatry in the 1950s was a field in transition. Mental disorders were often believed to be the direct result of social circumstance, and many psychiatrists relied on talk therapy to treat their patients. The few drug therapies that did exist were rarely well-suited for treating particular maladies. Morphine and opium were sometimes used to treat depression, while insulin shock therapy was used to render uncooperative schizophrenic patients comatose. By the end of the 1950s, Thorazine, a new psychiatric drug, had become the treatment of choice for schizophrenia. Thorazine simplified the problem of safely keeping aggressive patients calm and docile, and was seen as far less cruel than putting those patients in a coma. Drugs similar to Thorazine were then developed on the premise that excessive dopamine in the brain could be responsible for certain aspects of schizophrenia. These drugs quickly demonstrated that the chemical manipulation of neurotransmitters could be effective in treating mental disorders. Psychiatry had lagged behind other medical fields for decades, in large part because it lacked treatments tailored to treat specific conditions. Thorazine helped accelerate the acceptance of biological psychiatry, which focused on the biological basis of mental disorders. Biological psychiatry also provided a welcome opportunity for psychiatrists to work directly with pharmaceutical companies to develop targeted, drug-based treatments for mental disorders. Change was in the air. Psychiatrists in the mid-20th century were also keen to develop drug therapies for more common mental disorders, like depression. Case reports had documented mood changes in patients being treated with various drugs for non-psychiatric illnesses. Iproniazid, used to treat tuberculosis, seemed to improve patients’ moods, while reserpine, originally used to manage high blood pressure, appeared to mimic depression. Just why either of these drugs influenced mood remained anyone’s bet. These examples (with the exception of reserpine’s serotonin-sapping effects – more on this later) suggested that low serotonin might be responsible for depression’s symptoms, and that boosting serotonin’s levels might alleviate these symptoms. In other words, they indicated that depression could be due to a chemical imbalance in the brain, and that this imbalance could be corrected through the targeted use of proper drugs. Based on rodent studies, researchers could reasonably surmise that the drugs would increase serotonin levels. What they couldn’t assume was that a boost in serotonin levels would be of benefit to people suffering from depression. And yet, at least for some patients, the therapeutic effects of these drugs were undeniable. But these early anti-depressants caused severe side effects, and psychiatrists were skeptical that patients would agree to take them. Pharmaceutical companies saw a major (and, potentially, majorly lucrative) opportunity: A drug that could increase serotonin levels without causing severe side effects could revolutionize the treatment of depression. These companies began hunting for new chemicals that met these criteria. In the early 1970s, pharmaceutical chemists struck gold with the invention of drugs like fluoxetine (Prozac) and sertraline (Zoloft). These compounds were part of a new class of anti-depressants, called selective serotonin reuptake inhibitors (SSRIs), that raised serotonin levels by preventing neurons from recycling serotonin that had already been released. Promisingly, SSRIs were about as good at treating depression as their predecessors, but they caused milder side-effects. It took about twenty years for the first SSRIs to pass through clinical trials and receive FDA approval. Psychiatrists and drug companies alike were happy to trumpet a biological explanation for depression (low serotonin), and an appropriate, relatively safe remedy (SSRIs). The ad, like many pharmaceutical commercials, was careful not to make absolute claims about Zoloft’s effectiveness. Instead, it contextualized a definitive statement (that Zoloft works to correct an imbalance) with an inconclusive one (i.e. that while its cause is unknown, depression may be related to an imbalance of natural chemicals). Couched in this careful language was an implication, that psychiatrists not only had a solid grasp of depression’s biological underpinnings, but had deduced from this understanding how to treat its symptoms in a targeted way. It’s difficult to say what effect direct-to-consumer marketing campaigns like this one had on antidepressant sales, but it seems reasonable to assume that it was significant; by 2006, anti-depressants in the U.S. represented the most popular category of prescription drug. But those familiar with depression know that it can often resist treatment. Not every person faced with depression can be helped by anti-depressants designed to “correct” a supposed serotonin deficit – a fact that underscores the insufficiency of the chemical imbalance theory, and the complexity of depression, in general. There is no question that the chemical imbalance theory has spurred chemists to invent new anti-depressants, or that these anti-depressants have been shown to work; but proof that low serotonin is to blame for depression – and that boosting serotonin levels is the key to its treatment – has eluded researchers. The corollary to the chemical imbalance theory, which implies that raising brain serotonin levels alleviates depression, has also been hard to prove. As mentioned previously, the serotonin-depleting drug reserpine was itself shown to be an effective anti-depressant in the 1950s, the same decade in which other studies claimed that reserpine caused depression-like symptoms. At the time, few psychiatrists acknowledged these conflicting reports, as the studies muddled a beautiful, though incorrect, theory. Tianeptine is another drug that decreases serotonin levels while also serving as a bona-fide anti-depressant. Tianeptine does just the opposite of SSRIs – it enhances serotonin reuptake. Wellbutrin is a third anti-depressant that doesn’t increase serotonin levels. You get the picture. Other problems with the chemical imbalance model of depression have been well documented elsewhere. For instance, if low serotonin levels were responsible for symptoms of depression, it stands to reason that boosting levels of serotonin should alleviate symptoms more or less immediately. In fact, antidepressants can take more than a month to take effect. Clearly, something here just doesn’t add up. To spur psychiatry forward, we need an improved public understanding of depression, and new forms of treatment. To learn more about the former , I contacted Jeffrey Lacasse – an assistant professor in the College of Social Work at Florida State University who specializes in mental health and psychiatric medications – and neuroanatomist Jonathan Leo of Lincoln Memorial University in Tennessee. In 2007, Lacasse and Leo published research on the media’s propagation of the chemical imbalance theory. In their investigation, the researchers followed up on every mention of the chemical imbalance theory they could find over a one-year span. I wanted to know the extent to which the public dialogue about depression has shifted since their investigation was published. In a joint e-mail, Lacasse and Leo told me that the public portrayal of the chemical imbalance theory has dropped off noticeably in the past few years. Though TV commercials promoted SSRIs using the chemical imbalance theory in the early 2000s, “we noticed these advertisements came to a screeching halt around 2006-07,” they said. It’s not entirely clear why these advertisements disappeared, but the researchers speculate it’s because the underlying science had failed to corroborate the theory, and finally come to the attention of advertising execs who had knowingly skipped their homework. The two researchers are concerned “that the story most patients have been hearing from their clinicians for the past 25 years simply has never lined up with the actual scientific data,” raising the question of whether patients have had the opportunity to give fully-informed consent. Some psychiatrists vehemently disagree with the way journalists and other psychiatrists have pushed back against the chemical imbalance theory, and anti-depressants in general, noting that these therapies are effective, even if we don’t fully understand why they work. For what it’s worth, the sudden cessation of televised versions of the chemical imbalance theory still perplexes Lacasse and Leo, who are continuing to study how the public portrayal of depression influences patients. Today, the chemical imbalance theory appears to exist predominantly in the lay audience’s mind. It seems there exists opportunity for change. To get a sense of where an expert in depression felt the study and treatment of depression was heading, I contacted Poul Videbech, a professor of psychiatry at Aarhus University Hospital in Denmark. He was frank with his assessment of the field: “ The truth is, the chemical imbalance theory has been immensely fruitful, as it has inspired us to develop new drugs,” he said. Videbech says depression’s wide range of symptoms can be linked to myriad overlapping factors, from genetic vulnerability, to deficiency of certain neurotransmitters (call it “chemical-imbalance-theory-lite”), to disruptions in circadian rhythms, to factors that can alter the survival and growth of neurons. The birth of new neurons, for example, is a hallmark of a healthy brain; a prominent new theory about how SSRIs work has connected elevated serotonin levels to the elevated birth of neurons. But the science still has a ways to go. Videbech also mentioned several new therapies that could gain traction in coming years. Ketamine, for example, shows promise, but must be given at regular intervals; transcranial magnetic stimulation, in which magnets are used to non-invasively manipulate brain activity, and wake therapy, in which patients are kept awake for prolonged periods, are two other options backed by reams of scientific evidence. In the future, we may even see psychedelics return to the psychiatric clinic; a number of psychedelic compounds – including psilocybin, the hallucinogen found in magic mushrooms – have shown promise as antidepressants in recent years, a fact that has led many to call for an end to bans on psychoactive drug research. SSRIs remain an effective form of therapy for millions of patients, but scientists and psychiatrists are eager to improve our understanding of depression and its treatment. That understanding may eventually incorporate some aspect of the chemical imbalance theory, but the whole picture is almost certainly more complex. Update: This piece originally stated that “studies have shown that much of [antidepressants’] effect is likely due to placebo.” In fact, meta analyses have concluded that the magnitude of benefit of antidepressant medication compared with placebo tends to increase with severity of depression symptoms. The piece has been revised to clarify this point. Update #2: As many readers have pointed out, this piece originally overstated several of its points regarding the validity of the chemical imbalance theory. While it is certainly incomplete, aspects of the theory may one day fit into a more complex and comprehensive understanding of depression. The headline and various sections throughout the piece have been revised to correct this. We apologize for the error, and thank those of you who called us out on the mistake.